Welcome to Planet Pets Dog Information Directory! 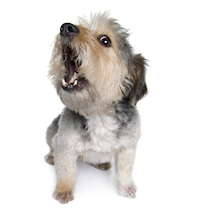 Explore our dog breed directory and research information into the diverse world of canines. Whether you're looking for information on your dog, or for background into a possible pet, look here for what you need. Dogs are the most popular pets in the US. Around 43 million households have dogs, according to the latest version of the US pet ownership & demographics sourcebook. Although the total number of cats in the US exceeds that of dogs, more homes have dogs than any other pet. You've come to the right place for information about dogs and dog care. We have a very large dog breed directory for all you need to know about dog breeds - if you are looking for the right breed for you, we hope our breed directory will help. And when you've decided on the breed you want, check out our extensive Dog Breeder Directory to find a good breeder near you. Of course, we encourage you to support your local Animal Shelter and check to see if you can find a dog to adopt first, before going to a breeder. We have a large amount of information on dog care as well - including tips on buying a puppy, dog grooming, clipping your dog's nails, feeding your dog, disease prevention and more - check out the links to the right. 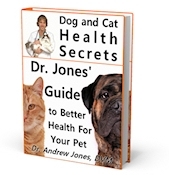 Don't forget to sign up in the form to the right (or below) to get your free dog health care booklet from Dr. Andrew Jones, DVM, if you haven't already. You get an excellent natural dog care book (download) right after signing up and confirming your email address, plus you'll get his free newsletter with more dog health information. Well worth signing up! Browse the links to the right and check out more about dogs on Planet-Pets.com.